The Swiss are understandably proud of this discovery, and this context may help explain why the astrophysicists at the Center for Space and Habitability in Switzerland’s capital Bern hired a theologian to think about the implications of the discovery. A theologian would prove useful should we one day find another habitable planet with extraterrestrial life on it. I like to think of these implications in three broad theological categories: creation, revelation, and salvation. Let’s start with how to interpret the potential existence of extraterrestrial life in the context of creation. Could there have been a second genesis? Would the Bible allow for such an interpretation? I am convinced it would. Let me explain. The hymnal description in Genesis 1 is of an ecological order. First, God creates several living environments: the sky, the land, and the seas, and then populates these environments with creatures: the birds, the land animals and plants, and fish.Every land is created by God, not only planet Earth, and if there is extraterrestrial life on extraterrestrial planets, then it too comes from the hand of God. We used to translate the very beginning of the Bible with: “In the beginning, God created heaven and Earth” (Gen. 1:1), but that opening verse is better rendered as “God created the heavens and the land”—the habitable land, as a living environment. And why should this land not be on another planet? Every land is created by God, not only planet Earth, and if there is extraterrestrial life on extraterrestrial planets (called “exoplanets”), then it too comes from the hand of God. Creation is a vast concept. One might object: is the human being not the only creature created in God’s image? Wouldn’t extraterrestrial life, if it were intelligent, threaten this unique feature humankind? Well, our knowledge of the biblical languages becomes relevant here. In the original Hebrew text, the word for human being is “adam.” And the word for Earth is “adamah.” Hence, God’s creature biblically speaking is called “human,” because it is made from “humus,” the soil. There is nothing special about our composition. Why should there not be other creatures on their respective planets, creatures who developed and grew out of their soil similar features to humans on Earth, and—this is decisive—are responsive and responsible to God as well? The theological tradition already acknowledges intelligent beings of a different kind who also worship God: angels. So, I don’t see that extraterrestrial life presents any problem for the concept of creation. Revelation and salvation, however, seem to be another story. Christians believe that God’s revelation took place on this very planet, with the Jewish people, and in the person of Jesus of Nazareth. Should we see Earth as the center of cosmic salvation history, implied also by the traditional concept of the cosmic Christ? To be sure, nothing exists that is made without Christ. Yet why the focus on Earth? My answer is: we don’t know. But we also don’t know whether events similar to that of Christ’s incarnation took place on other civilized planets far away.Why should the eternal Trinity not be capable of multiple, temporal incarnations? If there are inhabitants on Dimidium, why should God not take on their flesh as well? Why should the eternal Trinity not be capable of multiple, temporal incarnations? Granted, none of this is in the Bible, but apart from some root statements the same could be said for the Trinity, a doctrine which found its full expression in post-canonical, early church history. In addition, the Bible only portrays salvation history on Earth. If there are extraterrestrial cultures and civilizations with stories to tell, written in other holy books, presumably we would find them in their respective books. Even here on Earth, we have very different accounts of the sacred. As a Christian, I am convinced that the Bible is a very good one if not the best amongst those accounts, but we are not the ones to judge where God is and is not at work in Christ, nor should we restrict his omnipresence to the limits of our religious imagination. The Bible also warns us several times that living the Divine love might be more important than wording our confessions (e.g., Matt. 25:31-46; Luke 6:46). Additionally, we should consider whether we are always interpreting the Bible properly. History is full of interpretation errors which lead believers unnecessarily into a conflict with scientific findings. 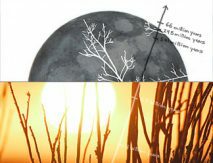 For instance, theologians believed the sun circled Earth, and argued that the Holy Bible in the book of Joshua said the same when “the sun stood still” (Josh. 10:13). However, this verse is poetry, not science. The Bible even tells us so, as it is said to be written in the book of the righteous (Sefer-Hajashar), which is quoted one more time in 2 Samuel 1:18 as a poetry book. Interestingly, according to traditional Jewish exegesis, the Bible does mention inhabitants of other planets. Judges 5:20-23 says: “They fought from heaven; the stars in their courses fought against Sisera . . . Curse ye Meroz, said the angel of the Lord, curse ye bitterly the inhabitants thereof; because they came not to the help of the Lord, to the help of the Lord against the mighty.” In some traditions, Meroz is considered a planet, which is why the passage is consistent with extraterrestrial life. I would never have noticed were it not for my work with astrophysicists. Astrobiology challenges as to think big of God who is always greater than our imagination. My work in the astrobiology field also led me to consider ethical matters, because I realized that many ethical questions raised by astrophysics have not been dealt with in a reliable fashion. Space is vast, but the space around Earth is limited,My work in the astrobiology field also led me to consider ethical matters, because I realized that many ethical questions raised by astrophysics have not been dealt with in a reliable fashion. currently filled with hundreds and thousands of satellites; periodically those satellites break, leading to the problem of space debris. More devices have already been damaged by such debris than by natural events. Since 2015, there is even legislation for space mining. Imagine if there is life somewhere in space, even if it is only microbial life. Should we not be better stewards and thus more careful with what we do in space? The possibility of this scenario has prompted a NASA division that takes care of the sterilization of space craft, as well as implementing a policy to protect the integrity of the “biospheres” of other planets. Thinking into the future: If one day we should start settling on Mars or even “terraforming” it, how can we be sure there is no life on Mars already? And what if humankind one day developed the technology to send probes to distant exoplanets (our neighbor solar system has a couple of them), and we found life on them? At present, we can try to determine the atmosphere of those exoplanets and thereby their biosignatures. Even if chances for life are very small, they are still significant, as there are about 300 billion stars in our galaxy alone (the Milky Way), and certainly at least as many planets. And there are billions of galaxies out there, so there are literally myriads of planets in God’s cosmos. We should be prepared to open our minds to think what this possibility means for us and for our beliefs. God’s creation is vast, and that’s very good. It remains a challenge we have to cope with. 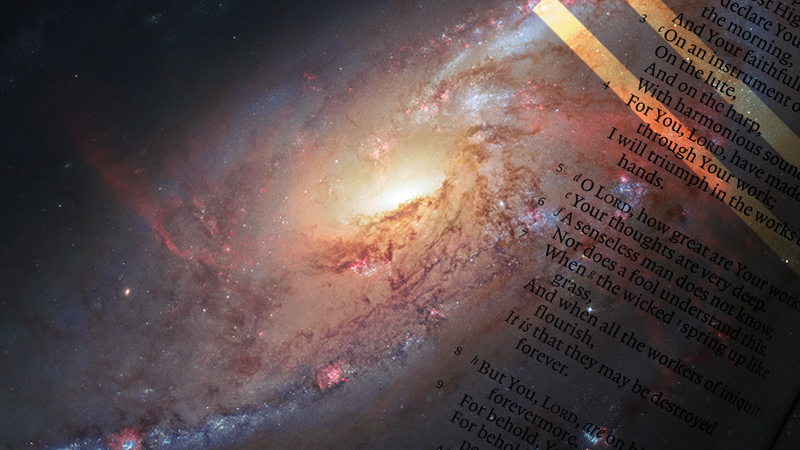 Should Christians Care about Astrobiology? Andreas Losch is working as an independent researcher affiliated with the Theological Faculty of the University of Bern on "Ethics of Planetary Sustainability." He coordinated the project “Life Beyond Our Planet?” at the Center for Space and Habitability at the University of Bern.